Not only are fruit and veg among the most tastiest natural and healthiest foods on the planet, but junk food is also the lowest common denominator. It might tempt you with its rock ’n’ roll swagger, but junk food offers absolutely no vital nutrients and zero health benefits. Diabetes is caused when the pancreas becomes so under siege that it can no longer produce adequate amounts of insulin. Insulin is the hormone that turns sugar into fuel, and as experts point out, junk food is loaded with unnatural sugars that can lead to type-2 diabetes that unfortunately can result in serious complications and premature death. Virtually everyone on the planet will encounter digestive issues at some time or another. Among these issues are irritable bowel syndrome, diarrhea, bloating and excess gas. However, some complain that they suffer from digestive issues all the time. And the reason for this could be that they eat too much junk. 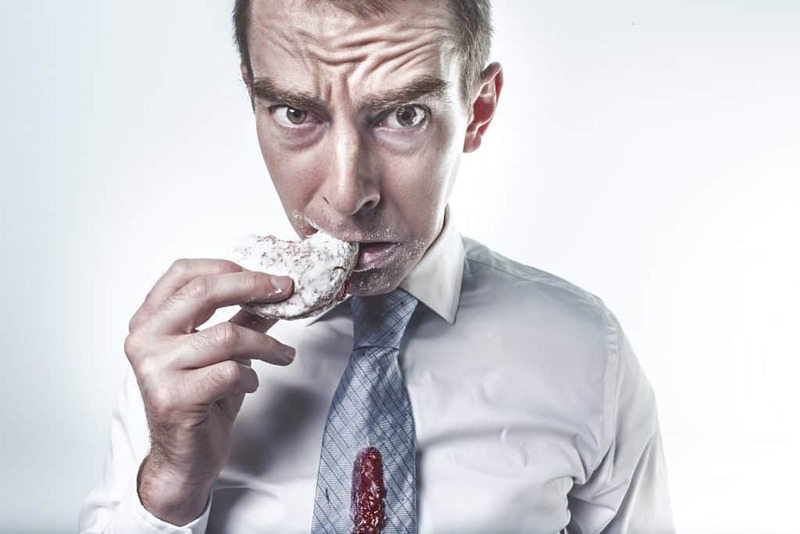 Junk food is full of oil, sugar, trans fats and chemicals that wreak havoc on your stomach. In addition, once your stomach is irritated, your digestive system goes out of whack. Many people just assume that only our bellies, thighs, and double chins are affected by a poor diet. However, fats don’t just make their way to your bulging abdomen – they also attack your brain. When bad fats – such as those found in junk food – reach your brain, they cause brain fog, which is that feeling you get when you can’t focus on anything. Junk food contains very few nutrients, vitamins and protein, all of which are essential for an invigorated you who seizes the day. If you exist on bad food alone, you’re going to struggle to do anything at optimum power. You’ll largely feel lethargic and run down. 1 in 3 U.S. teens eat junk food each day, and on top of the hindrance to their physical health, it is also important to consider what effect junk is having on their mental well-being. Research has shown that the more junk food we eat, the more we are prone to depression. This is especially the case for teenagers. Because they are more susceptible to hormonal changes, which can be massively influenced by their diet. It is rich in sugar, which puts stress on the metabolism. Moreover, because it’s low in carbs and protein, your blood sugar levels are more at risk of plummeting when you stop eating. This can make you feel moody and make you want to eat even more junk food. Heart disease is indeed really scary. But there are preventative measures we can take to ensure we don’t struggle with it later on in life. Avoiding junk food is one such method. Because such food is rich in bad fats that increase your bad cholesterol levels and in turn encourage plaque to form and heart disease to develop. Once your liver becomes overloaded with all the junk you’re throwing at it, it will certainly let you know. You’ll feel lethargic, stressed, irritable, and you may develop headaches, skin conditions and a whole lot more. Junk food has been linked to liver disease on more than one occasion, and it turns out that it can be just as bad for your most overworked organ as alcohol. Fries are soaked in finely processed salt. When combined with a fatty, greasy hamburger, you’re essentially double downing on kidney disease. Which comes about when too much salt increases blood pressure on a consistent basis. Call us with any questions. 215-343-3223.